Located in the heart of Hyderabad, OYO 14184 Hotel Green Stone promises a great experience to the guests at affordable rates. The OYO is maintained with a skilled and friendly staff to ensure you have a good stay. 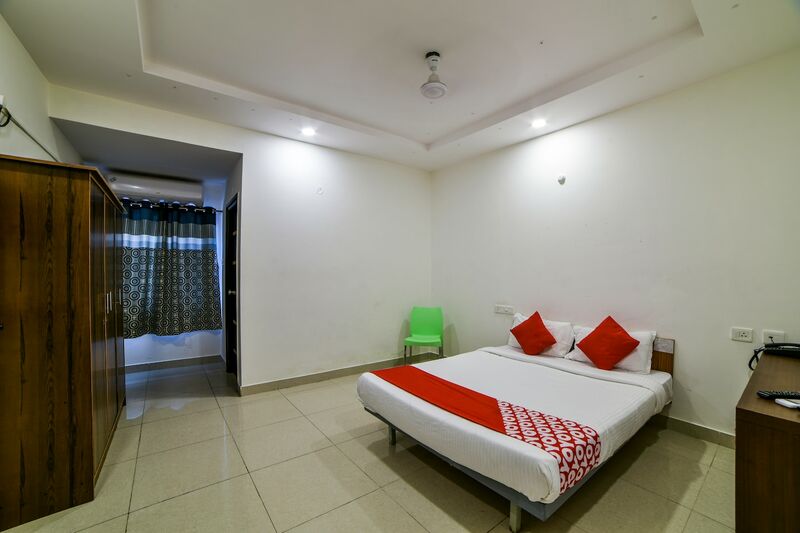 The rooms are equipped with modern amenities like Complimentary Veg Breakfast, Parking Facility, Free Wifi and much more. We take our guests safety seriously and provide facilities like fire safety, first aid and round the clock security to ensure the same. Head out to visit the key attractions of Hyderabad like Mix Bar, Golconda Fort and Jamia Masjid. ICICI Bank ATM, HSBC ATM and Corporation Bank close to the hotel ensures you are never short on cash.